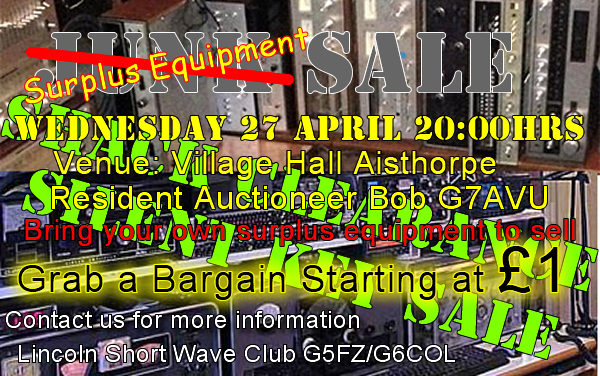 LSWC Surplus Equipment Sale on the 26th of April at the Village Hall Aisthorpe. Booking in of sale items strictly between 18:00 and 19:30. To save time in booking in your items, please download the booking in form and fill it in before you arrive. The Village Hall will be open for viewing and refreshments from 19:45. There will be no general entry before 19:45 Sale will commence 20:15 . Refreshments will be on sale. 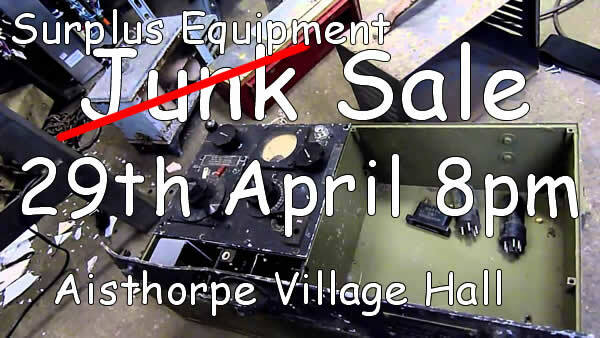 Bring plenty of money and grab some bargains. 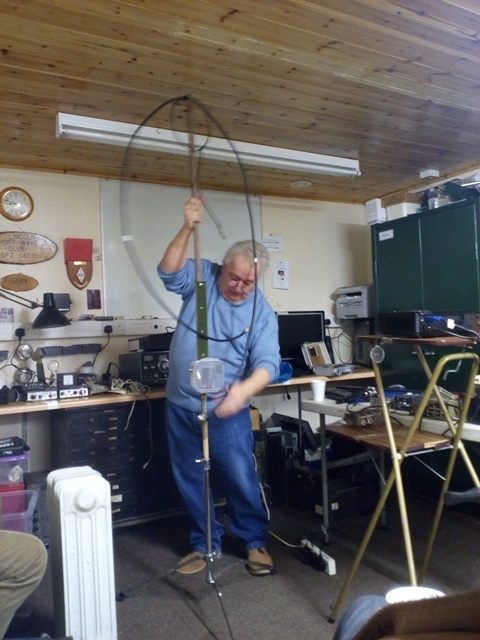 On Wednesday 25th Jan Ian G4XFC gave a very informative talk on the Magnetic Loop aerial explaining the principles of the loop and showing that they were not as difficult to make as often perceived. The talk mainly concentrated on making a QRP portable loop that can be assembled and operated in less than 5 minutes. 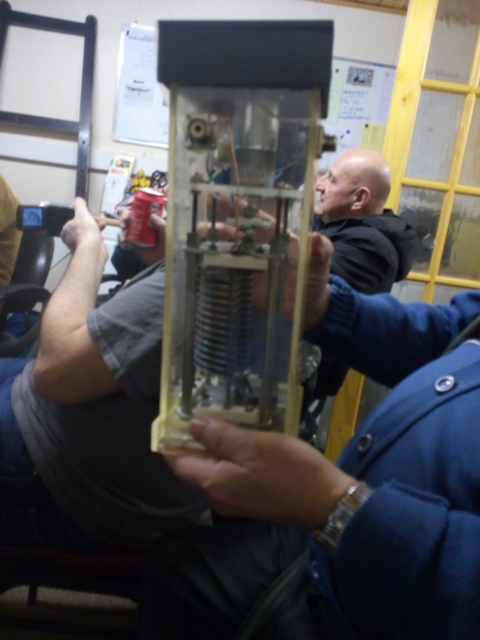 The talk has motivated some of the members to have a go making a portable loop for themselves, which was the main purpose of Ian’s talk. 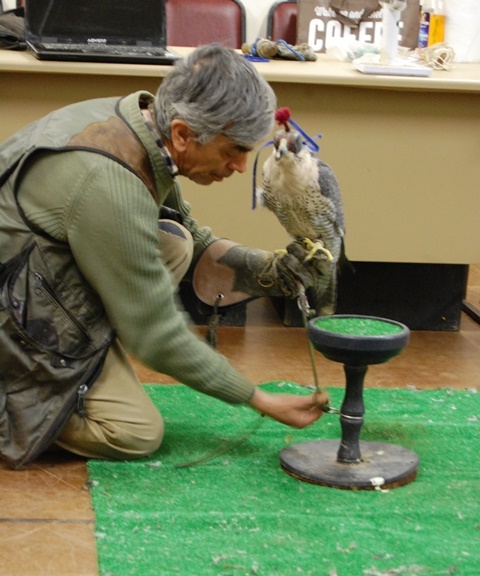 Because of this Ian has decided to have a Magnetic Loop workshop on Saturday the 18th of February at the club shack. Lincoln Short Wave Club is pleased to announce a new Foundation Licence Course to be held at Aisthorpe Village Hall on Saturday the 29th of October for two Saturdays, with the Exam being held on the second Saturday afternoon. The Foundation Licence is the entry level to Amateur Radio, that allows you transmit on the Amateur Bands with a power of 10 watts. More information here. 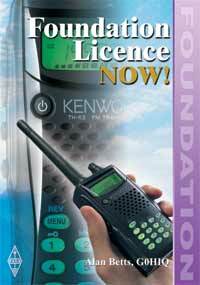 The cost of the course which includes the cost of your Amateur Radio Licence is £45 and if you wish to purchase the “Foundation Licence Now!” book which you will need for the course, the club offers them at £5. The course is suitable for age 12 upwards and is mandatory to progress to the next “Intermediate Licence” stage. 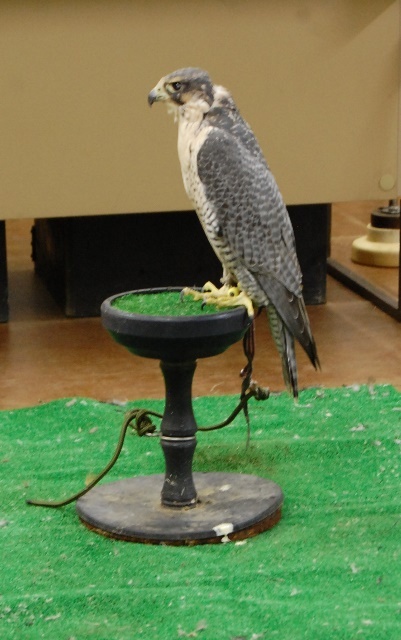 Please use the “Contact” form for more information. I was asked to give a talk about Morse Code to Legsby Primary School as part of their communications project, which was successful and invited the pupils to visit our club shack at Aisthorpe. 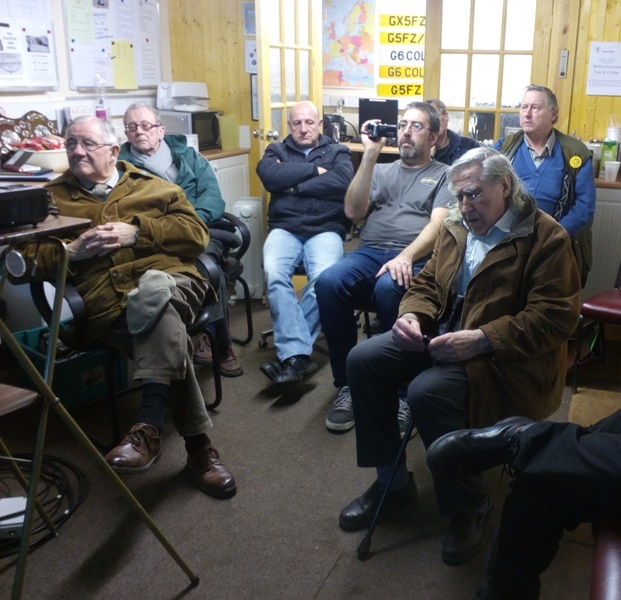 On the 30th of June the children arrived and enjoyed a day at the shack doing various things, I was helped by Pam G4STO, Peter G1FLL and Bob G7AVU the children enjoyed the visit with most of them enjoying Bobs talk on amateur television. 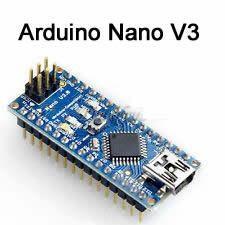 For the last few months I have been playing with an Arduino Duo and found it is well suited for Amateur Radio projects. 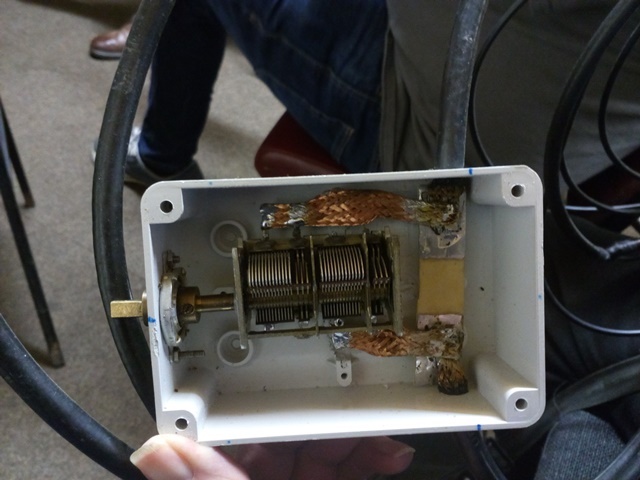 I have started a new Blog to publish some of these projects and to start with is my current project about remote radio switching of an aerial control box, 2.5 GHz is not Just for Cooking I hope you enjoy it. 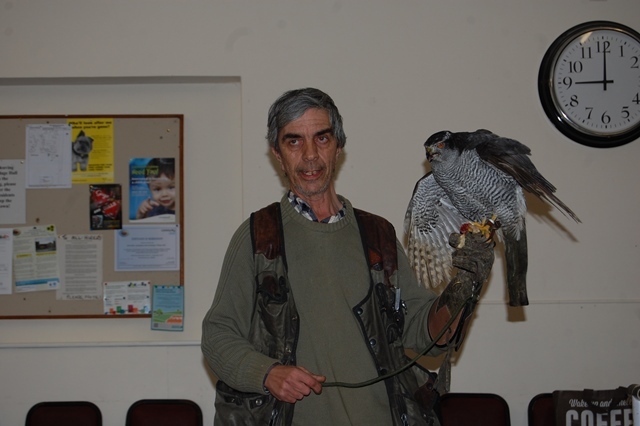 Professional Falconer Steve G1PPA gave a very informative talk on Falconry and displayed two of his birds that he brought along as part of his talk. 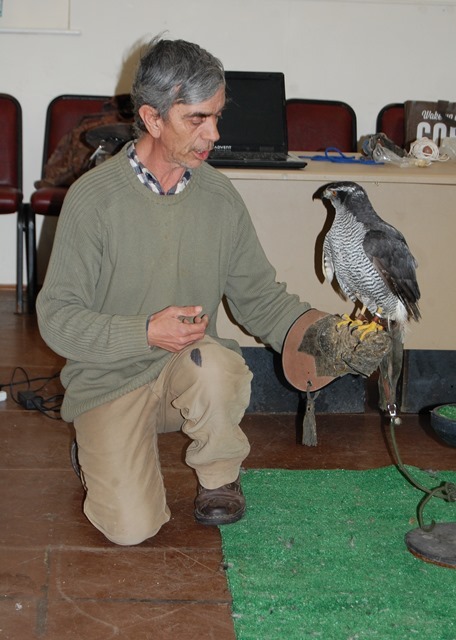 A Goshawk and a Peregrine x Gyr/Saker Falcon which took centre stage during the talk .